Electric Mobility Canada is proud to be a partner of the Association québécoise des transports (AQTr) for a breakfast seminar on electric mobility in Montreal on December 11, 2015 . 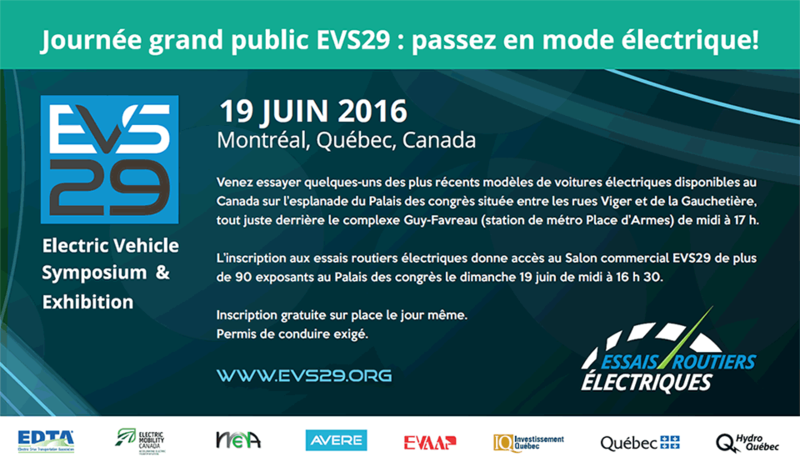 On this occasion, Mr. Robert Poëti, Quebec’s Minister of Transports, will present his Transportation Electrification Action Plan 2015-2020. Many EMC’s members will also be part of the discussions, including Catherine Kargas from Marcon, Marco Viviani from Communauto, and Ian Neville from the City of Vancouver. This seminar will provide an overview of the issues and needs of managing vehicle fleets and charging infrastructures in cities. For the program and more information, check out AQTr’s brochure (in French only) or visit their website.